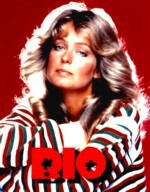 Farrah Fawcett-Majors played the very athletic Jill Munroe from 1976 to 1977. Farrah was very popular and left after the first year. She later returned for 6 episodes spanning seasons three and four.